Should You Mount A Light On Your Handgun? Weapon mounted lights have been around for some time now. Various people have different views in regards to them. Are they a help? A hinderance? Are they worth the financial expenditure out of your preps budget? Lets see if we can answer these questions. Since many, if not most, violent encounters happen in darkness, being able to control illumination in the situation could be vitally critical. Consider also, that in a grid down situation, inside of buildings will be dark even during daytime. Weapon mounted lights come in a number of varieties and configuration, but for our purposes, we will discuss those you might mount on your handgun. Many lights will also incorporate a laser in green or red combined with the flashlight, as well as giving strobe capability to the flashlight. Some also incorporate Infrared capability, although laser and infrared add considerably to the price. The majority will incorporate on/off switches that you can leave the light on, tap for a quick look, or switch to strobe. Most modern firearms manufactures are making mounts for lights on the frames of their handguns. Mounts come in two styles, the Picatinni rail and the Weaver rail. The better light manufactures are designing their lights to work on either. For handguns that do not have a dedicated rail there are companies that have made add-on rails that connect to the trigger guard. Most lights that you can use on your handgun can also be used on a long gun or shotgun that has a rail. Before weapon mounted lights became popular and available, many techniques were developed to incorporate using a regular flashlight held in the off-hand while the handgun was held in the firing hand. These are illustrated to the left. These techniques are still valid, however they have been supplanted to a large degree by weapon mounted lights. It is attached, so this leaves your off-hand free for other things like opening or closing doors, etc. 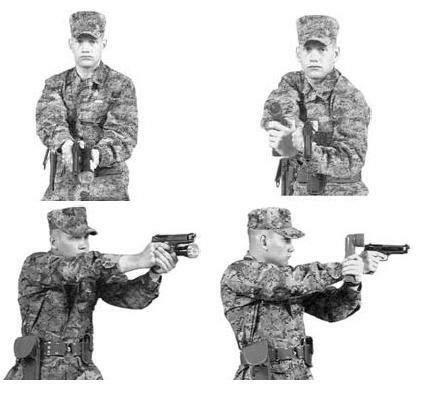 In addition, a handgun is usually more effective when used in a two hand hold. The light allows you to do a quick on/off look, or to keep it on if you are navigating a dark area where you require light to manuever. If your light has a strob feature, it may be useful to blind and temporarily confuse and adversary. 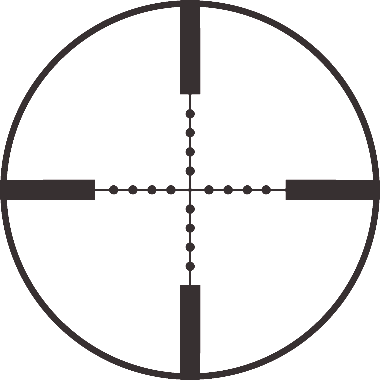 If you are using a laser equipped light, the laser will pinpoint exactly where the bullet will strike. Unless you have a holster designed to accommodate a light on your handgun (many are available) it will be an on/off affair. With the light mounted directly on your weapon, it will illuminate your position dead center. 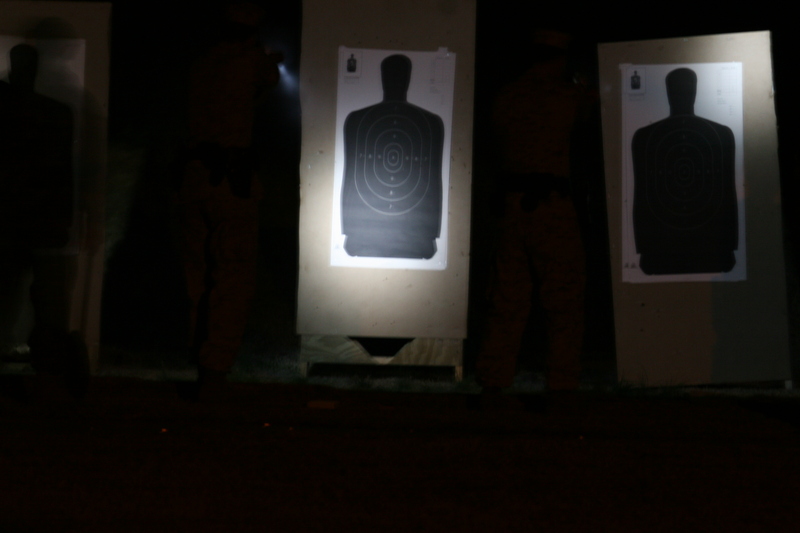 There are a number of proper techniques for properly using a weapon mounted light in a low-level light situation. One of the best training manuals that cover this issue is Gabe Suarez’s Tactical Advantage. Keep in mind for a SHTF situation that these lights are battery-powered, and although they last a long time you need to keep spares, or be able to recharge them solar. Like many things in life, you get what you pay for. Quality needs to be your first consideration. The light needs to be able to withstand the recoil of repeated firing, especially if you are considering using in on a rifle or shotgun also. The amount of light projected is measured in Lumens. A lumen range of between 100 and 400 is satisfactory. The following are examples of some of the most popular lights that have a good reputation for reliability. They have a variety of capabilities and span a fairly broad price range. SureFire makes a wide range of quality flashlights and weapon sights. This model is one of the most popular and widely used. It can also be had with a red or green laser sight incorporated as the X400 Ultra. Projects an estimated 600 lumens of light. The x300 is powered by two CR123A batteries. Streamlight 69120 TLR-2 C4 LED with Laser Sight Rail Mounted Weapon Flashlight. Streramlight is also a major provider of weapon mounted lights, and along with Surefire, they garner most of the market. The TLR 2 can be had in a variety of models from basic light to those with green or red laser or strobe. It projects 160 lumens of light and has an ambidextrous switch. It comes in various models and price ranges depending on if you want laser capability or other features. The Nebo 6109 is a very inexpensive light compared to many others. It has an ambidextrous on/off switch that has a strobe option which is something that costs more in other brands. This light would be suitable as a first budget light for training, to be mounted on a .22 cal weapon, and for those who would be using it very little. It has a lumen output of 190 lumens. There are very large number of weapon mounted light available. Decide on what your tactical use for one might be, shop around, read the reviews and buy the best quality you can afford. Armed professionals have been customizing their weaponry from the beginning of time. Warriors painted their shields with their own design, or the emblem of those they served. The firearms age continued the custom. Engraved handguns and personalized grips are just two examples. For the modern warrior who happens to carry a Glock, the backplate is a perfect place for individualization. 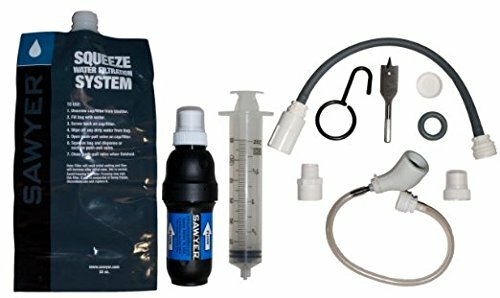 I found these while doing some research on other equipment. The ones illustrated below are just some of my favorites, but there is a tremendous variety that is sure to please almost any Glock owner. Click on any of them to link to the source, and for more. The last few years have seen a tremendous increase in the number of law abiding citizens opting to get concealed weapon permits (CCW) to go about armed for self protection. There has also been a corresponding increase of unique ways to carry concealed. 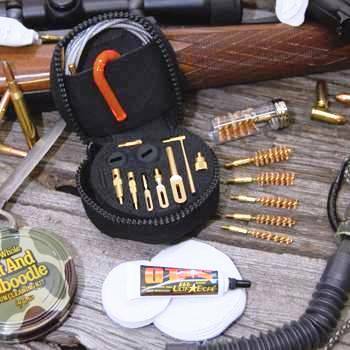 There are a large variety of small arms cleaning kits on the market. Some good, some not so good, some inexpensive, and some over priced.